The Technology Is Similar, Yet So Different! Smart answer to our headline: “There is no difference!”. Wrong. There are several things both trends have in common but the important details lie in the differences of the two. To identify them we have to think about the technologies, their impact on society and the goals behind the two terms. 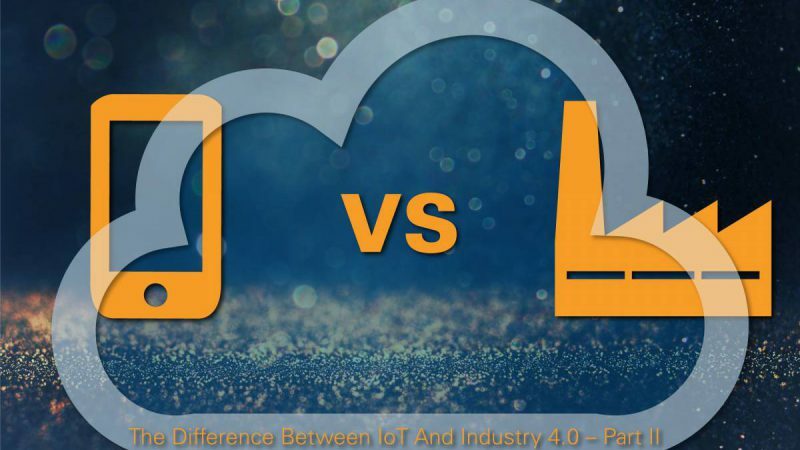 One problem in explaining the differences between the IoT and the Industry 4.0 might be how most of us approach to talk about them. Here’s an example. “Both are basically describing the connection of everything with everything…”; start to struggle there? Yep, not an easy one to finish. Let us start with a more structured approach in order to discover the core elements and differences of IoT and Industry 4.0. First of all, let’s take a look at the technologies behind the two “mysteries”. The general technology which enables both trends is the internet along with wireless connectivity and communication standards. However within the IoT this technology is used in order to impact our daily lives whereas in the Industry 4.0 concept it is applied to influence and optimise production processes. As a result, the requirements towards technology differ greatly. The IoT seeks to reinvent everything we touch everyday resulting in the need for the newest hard- and software in order to stay ahead of the market. Occasional security flaws are often a big topic but it still seems that innovation is put first in most areas. In addition, devices and hardware tend to get outdated somewhere between 12-24 months (“when will there finally be a new iPhone?”) and are replaced by new gadgets. Now let’s take a look at Industry 4.0 applications. Hardware and software need to fulfil complex tasks and be easy to understand enough to be used and shared by a huge number of persons in a company or even across a network spanning the whole supply chain. In this case technology is required to be scalable and flexible enough to adopt to changes in the production process as well as in the supply chain. Due to the high importance and complexity of the data it is further necessary to use well-proven and secure components. The product life cycles of industrial machines are often extended up to several years. During such a time period the system around a single machine changes constantly and adjustments to the machine itself may be made. Therefore the success of such industrial networks is dependent on the interoperability of different systems. Another difference gets obvious when we compare what we actually connect. The IoT describes the idea of connecting everything to the internet; there are basically no limits. Currently we consume and produce data in order to benefit from it without being conscious about where our data is stored and how it actually fits into a bigger picture. Industry 4.0 however seeks to connect sensors, actuators, control units, planning systems, logistics services and other knots which produce data with a clear, predefined goal in mind. The result is a more structured approach compared to our personal IoT surroundings. Data produced in such industrial networks requires secure and reliable technology which offers the capability to collect, store and process data in the cloud to make it usable and accessible. 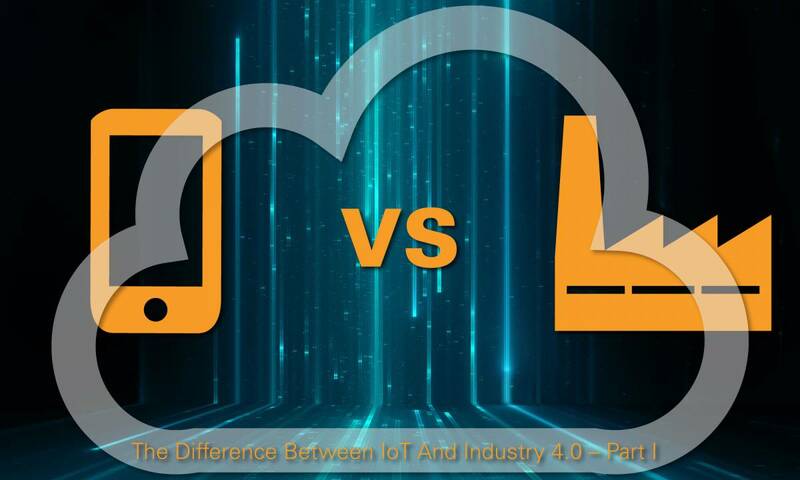 In conclusion, the fundamental technologies enabling the IoT and Industry 4.0 are similar but the requirements towards applications, hardware, software, complete systems as well as security features differ greatly. 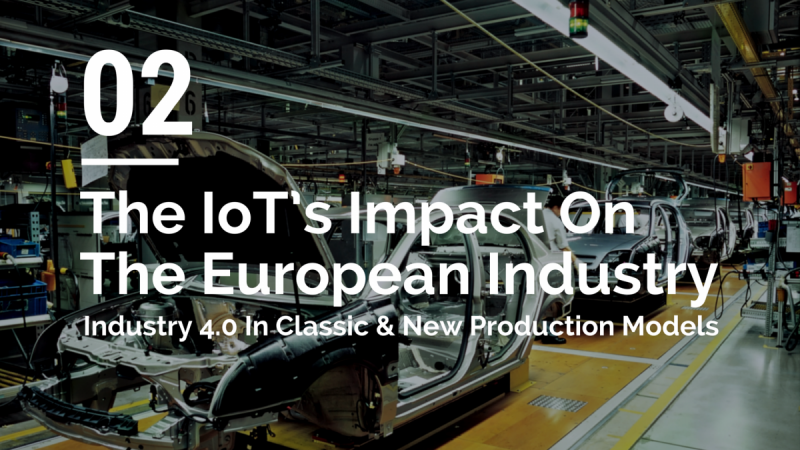 Read the next part of this blog “[Vision] Do You Know The Difference Between IoT And Industry 4.0? – Part II” here in which we will dive in on the differences which we can find in the goals behind the two terms as well as their realisation. 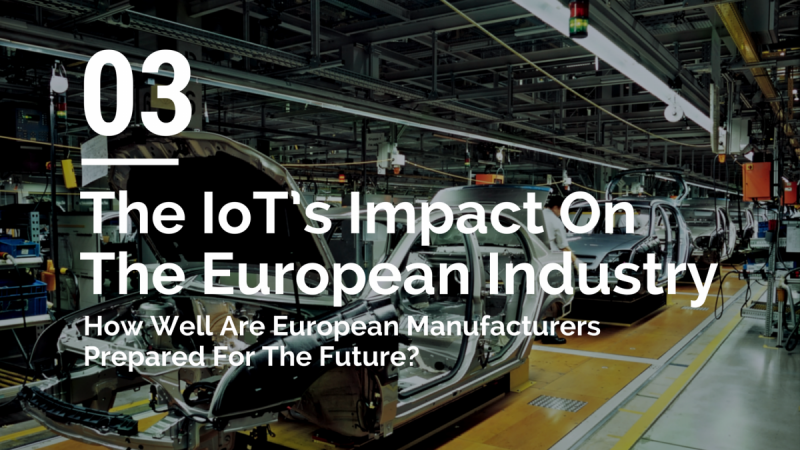 The IoT’s Impact On The European Industry – Part III: How Well Are European Manufacturers Prepared For The Future?